These Vented Oto-Blocks have a ventilation tube that relieves the air pressure in the ear canal when the impression material is inserted into the ear and when the impression is removed. Each pack contains 24 Vented Oto-Blocks. 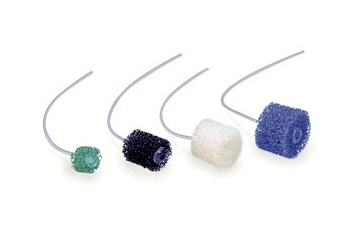 The shorter CIC Oto-Blocks are specifically designed to help protect the delicate inner canal wall and eardrum during the CIC impression procedure. 3 sizes. 50 per package. 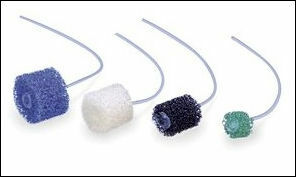 Made of cotton, Kot-N-Blox are pre-threaded and pre-tied. Available in 4 convenient sizes. 50 per package.